TME's offer features a complete high current connector with wire covers. It can be used as power connector in electric motorcycle controllers, as well as a connection terminal in electric bicycles. It is characterised by low resistance and reliable connection. 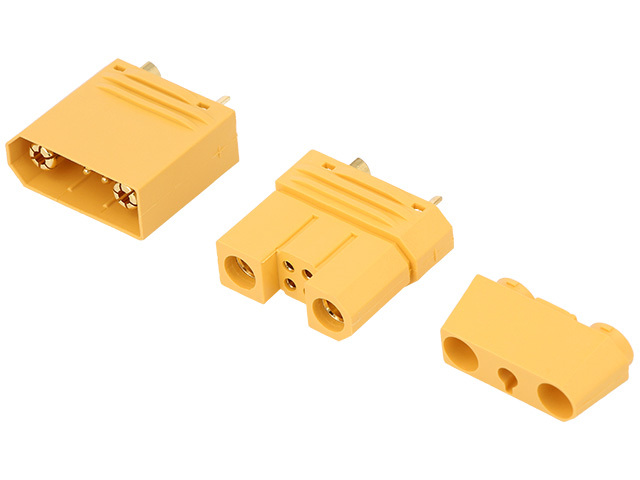 It becomes a popular connector among hobbyists. The set includes: 1 male connector, 1 female connector, and two wire covers.